This is Andy Lipkis drinking from a drinking fountain at the beautiful TreePeople’s headquarters. It was taken as a result of Andy telling me he’s been using the WeTap Google mapping app. “I’ve been taking photos of fountains,” he said, thrilling me to no end. We spoke with each other at the screening of a documentary he is featured in called “Rock the Boat” about a group of adventurers, including my husband, Dr. Jeffrey Tipton, who ride down the LA River to prove navigability in order to get the LA River protected under the Clean Water Act, which it is now! It seems fitting that the following week I see Andy at a Council for Watershed Health event celebrating 40 years of the Clean Water Act. 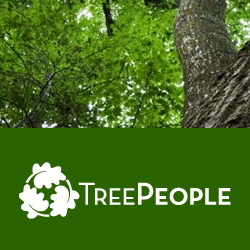 Andy and TreePeople (an organization he started in 1973 at the age of 17) is once again and most appropriately lauded by the keynote speaker Felicia Marcus of the State Water Resources Control Board, as an original and most effective leader in regards to protecting not only trees, but also water, another precious resource and treasure that many take for granted. 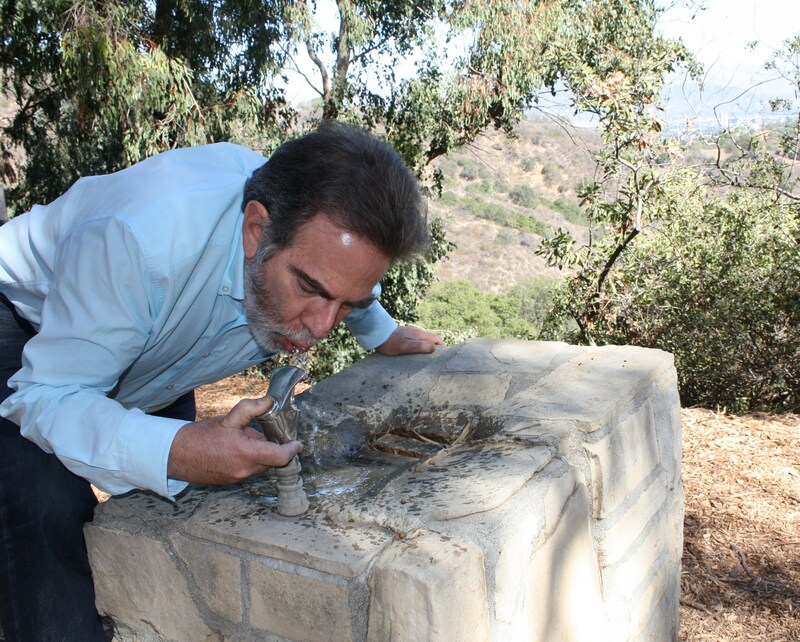 This photo of Andy drinking from a drinking fountain on the park property of TreePeople is another beautiful indication of Andy’s life long commitment to all things water and nature and in this instance, helping WeTap promote the safety and quality of LADWP tap water which is delivered via a simple drinking fountain on the TreePeople grounds where thousands of visitors and students enjoy every year. Thanks Andy for showing us that drinking fountains are worth using and celebrating in our daily lives! 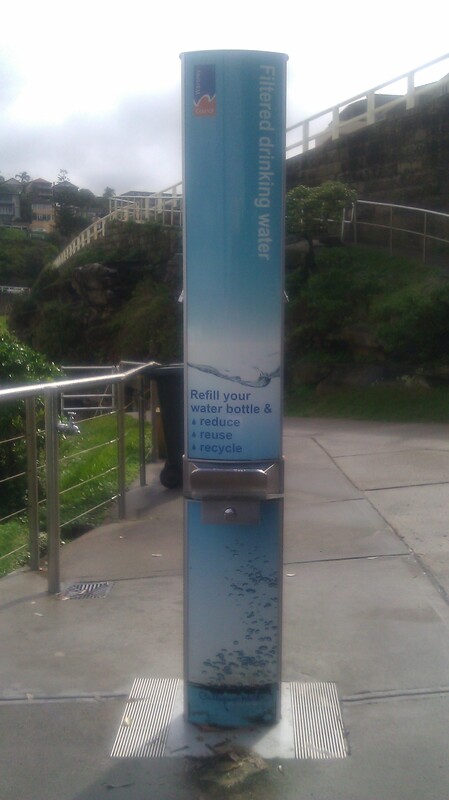 Please use the WeTap drinking fountain app, found at WeTap.org, to help gather information about the whereabouts and functionality of your local drinking fountains and please post photo’s on the WeTap wordpress blog or the WeTap Facebook page of people drinking from fountains in your neighborhoods, fountains and people that you love and believe benefit from the value of having tap water delivered from drinking fountains in your communities. 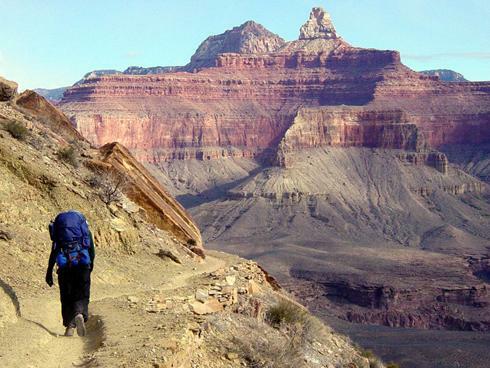 Grand Canyon Bans Plastic Water Bottles! Click here to read National Park Service Director Jonathan Jarvis’s policy letter to regional directors outlining their goals of banning the sale of single use plastic water bottles and improving drinking fountains and reusable water bottle refilling stations in ALL national parks throughout the country! The Grand Canyon National Park continues upgrading drinking fountains and adding canteen refilling stations as a way to move the park from selling plastic water bottles to banning them. You can read about the ban and its controversy here. The Safe Drinking Water Act (SDWA) is the main federal law that ensures the quality of Americans’ drinking water, sets standards and oversees the states, localities, and water suppliers who implement those standards.